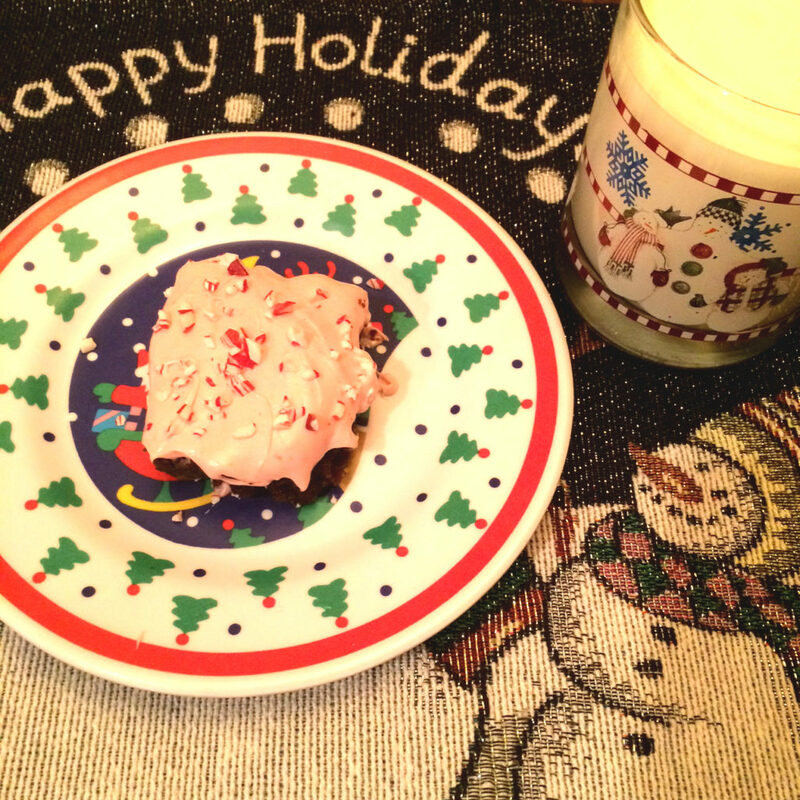 Last Seasonal Sweets Sunday: Peppermint Brownies! Happy New Year, everybody! December may be over, but for Catholics like me, Christmas isn’t over until January 6 😉 So here is one last seasonal recipe to satisfy your sweet tooth! In case you can’t tell, I am a little obsessed with peppermint. For this recipe, to make it easy on you guys, I used a mix for the brownies themselves XD The mix I used was Pillsbury, but you can basically use any fudge brownie mix that fits a 13″x9″ pan. To give it an extra chocolatey flair (because apparently I wanted my stomach to die), I also mixed half a bag of chocolate chips into the batter before baking! The peppermint frosting, on the other hand, is homemade. So here is the recipe for peppermint frosting! Make sure you wait until the brownies have cooled a while before you try to spread the frosting on them, or they will start to crumble. I sprinkled crushed candy cane on top, because in case you didn’t notice, I really like peppermint! And that’s it for my seasonal sweets recipes, and for Lyssa’s Holiday Cheer Extravaganza as well! I hope that you all had a wonderful holiday season, and I wish you all the happiest of new years! May 2017 be awesome for everyone!